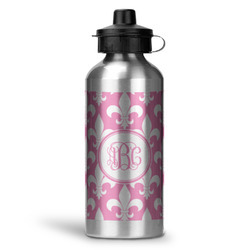 Stay motivated and hydrated during your workout with our personalized water bottles. These custom bottles give you a chance to put a name or even a phrase to keep you amped while you're breaking a sweat. 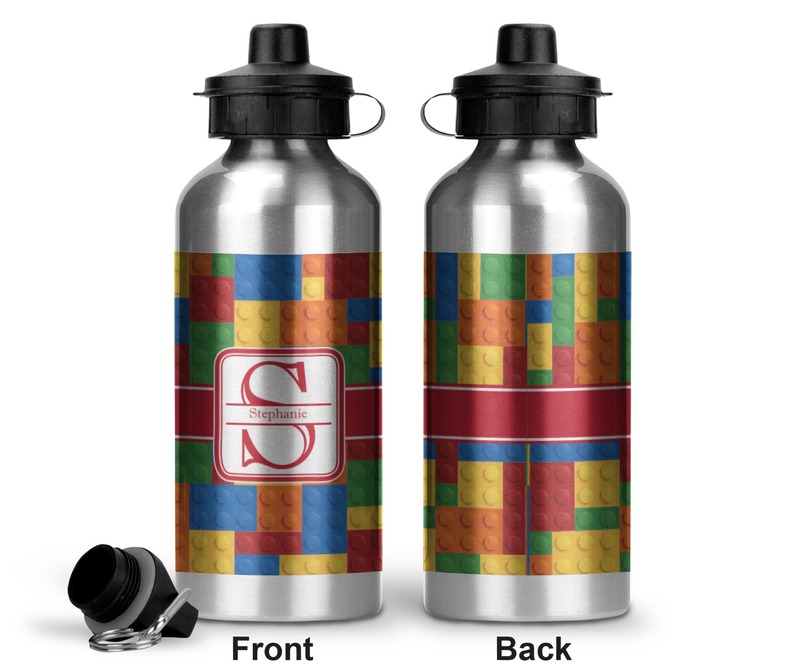 With our fun designs and patterns your bottle will be distinguishable from any others in the gym!! They are also great for camping and as gifts for the fitness buffs in your life. Easily keep track of your water bottle by clipping it to the your workout or hiking bag with the carabiner clip. You can even interchange the leakproof lids from the screw on to the lid spout depending on your needs. Use the screw on lid when you want to ensure that water doesn't leak out, and use the lid spout when you want easy access for drinking. 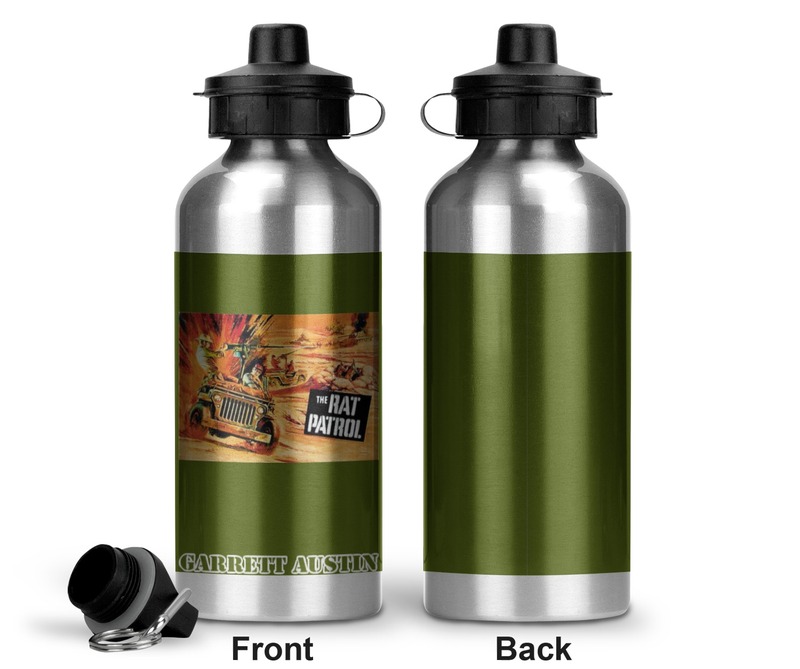 The bottle is made of a sturdy aluminum and holds about 20 ounces of liquid. It measures at approximately 9.5" x 3" x 3". They are perfect for kids and adults alike! Great quality product and I'm particularly impressed with the turnaround time. It was amazingly fast and very well packaged and promptly shipped. I wanted to give my step-son a lunchbox AND WATERBOTTLE similar to the thermos I had in the 1960s of my favorite TV show (he love it too!) but they are only available as collector items for a couple of hundred dollars. So I made him one from internet images (in the public domain) and it has his name printed write on it so I don't have to use a Sharpe. Its great! Thanks so much for offering such a unique product! Thank you! The bottle was as I ordered. Super fast service! Perfect gift! 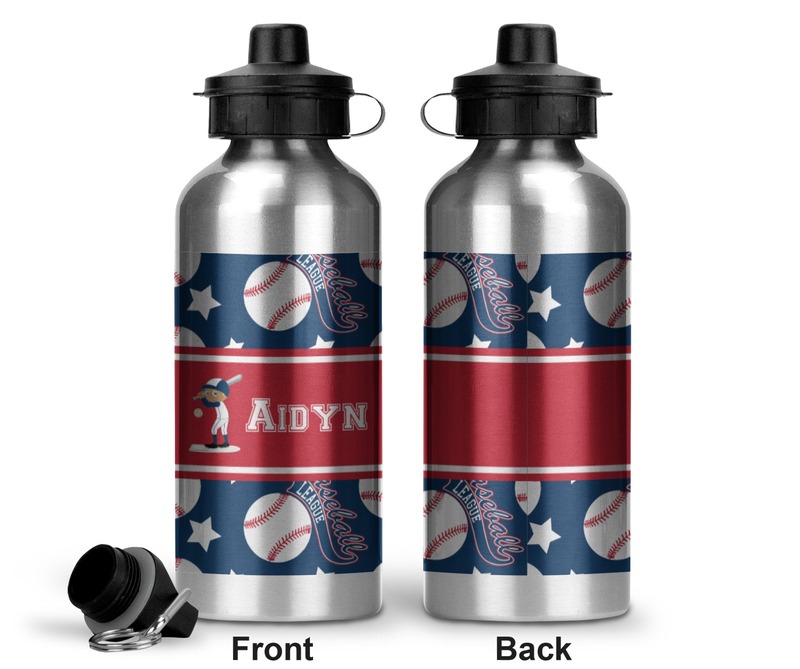 I purchased two personalized water bottles for my grandsons, one a soccer theme and one dinosaurs. My youngest grandson loves triceratops and I had searched high and low for a water bottle with a triceratop on it. I was elated to find a water bottle with the specific dinosaur and the additional feature of his name right under his favorite dinosaur. I ordered the water bottles expecting them to arrive around Halloween. I was very pleasantly surprised when they arrived in just five days and were exactly what I was expecting. I will be ordering additional water bottle to give as Christmas presents. Great products and great customer service! My son loves his bottle. Can't wait to use it for back to school.